India will take on China for the first time in 21 years in an international friendly at 5.05 pm IST this Saturday at the Suzhou Olympic Sports Centre Stadium near Shanghai. The match will provide a reality check for India ahead of the 2019 AFC Asian Cup, which will be held in UAE in January. While many may say that this fixture is just another international friendly in the calendar year, Stephen Constantine and the boys are gunning for a win. India have never beaten China in 17 appearances and have recorded 12 defeats throughout history. Head coach Constantine announced the 22-member squad to face China early last week. Since then, there have been many questions over the team's selection process, given that there's a lot riding on this clash. A lot of supporters felt that undeserving players were given a spot in the team, which saw a certain young, dynamic and deserving players miss out on the Indian team call-up. Sportskeeda lists out five players who missed out on the Indian national team call-up. After his outstanding performance in the opening matches of the Indian Super League (ISL) for Chennaiyin FC, most of the football fans in India were expecting his name to feature on the Indian national team squad. 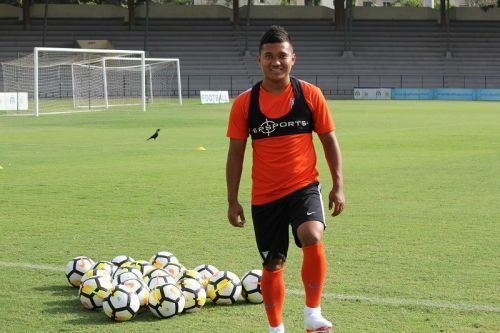 Jerry Lalrinzuala, the Mizoram wonder boy, is young and also small in stature. But we have all witnessed how he can create havoc in the opponents' half. Jerry is on top of the most emerging players' list, but did not earn a call-up to the Indian squad, where he could have been given a chance ahead of left-back Pritam Kotal. Some may argue that he's still 20 and his chance will come. But these are the kind of games that would give a budding international star some exposure. Does anybody remember this man from India's 6-1 win against Laos in the AFC Asian Cup qualifiers? Jackichand Singh is the same guy who came on as a substitute in that match and provided three assists to put India in a dominating position. 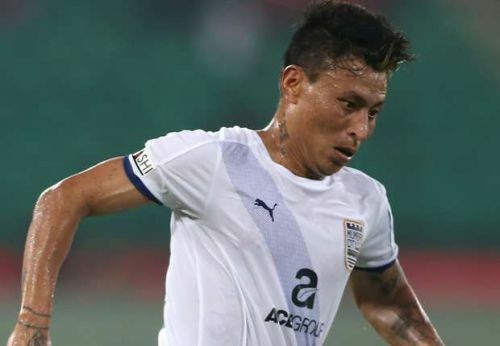 Jackichand made his International debut for India in 2015 but hasn't quite managed to impress head coach Stephen Constantine. Over the last few months, his selection in the team has always been subjective. The friendly against China would have been a good opportunity to give Jackichand Singh a chance to shine.